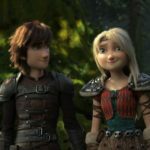 Fairytale – The Movie; out on Nov. 30th! 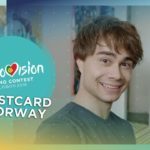 This is the movie about the fairytale that kick-started when Alexander won Eurovision 2009 – the fairytale that took him on a rollercoaster through Europe. We follow Alexander close up and personal – with the hysteria, the rumors, the romance, behind -and on stage. An honest Alexander tells his tale with words and images that never before has been showed. 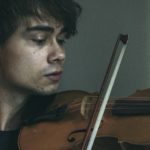 A film team leaded by Norway’s new star-director; Rune Langlo (99% Ærlig and Nord) has mad a documentary about the life of an emerging star in Europe. “Fairytale”, became a major hit in Europe and was # 1 on most European I-tunes charts the following week. It also reached top 3 on the European chart, #1 in Belgium, Denmark, Greece, Iceland, Norway, Sweden and Russia and #2 in Ireland, Finland and the Netherlands and Alexander’s performance from the Eurovision Song Contest had more than 17million hits on YouTube within a few weeks. It has sold more than 400.000 copies. 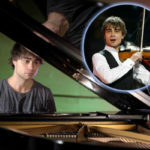 Alexander Rybak released his debut album “Fairytales” shortly after, and started a live and promo tour that took him all over Europe. By October 2009 the album has been released in more than 25 European countries including Scandinavia, Russia/CIS, Ireland, Germany, Austria, Switzerland, Benelux, France, Poland and Greece. The “Fairytales” album has sold more than 300.000 copies to date across Europe. “Fairytales” reached triple platinum in Norway, this summer. It has also sold to Gold in Sweden and Double Platinum in Russia, where Alexander in mid August 2009 was #1 on the Russian Billboard charts. The boy with the violin became a national hero in Norway, a musical phenomenon, a teen-idol. The 23 year old from won countless hearts during those 3 minutes on the 16th of May 2009. The next 6 months he went out to meet these hearts. Come with Alexander to Giske, when he’s back at the place where he wrote Fairytale; to Finland where he meets thousands of screaming fans, and to the start of his European tour in Ukraine. Europe is Alexander’s new home. This is the movie about this journey. A document of this years’ Fairytale.